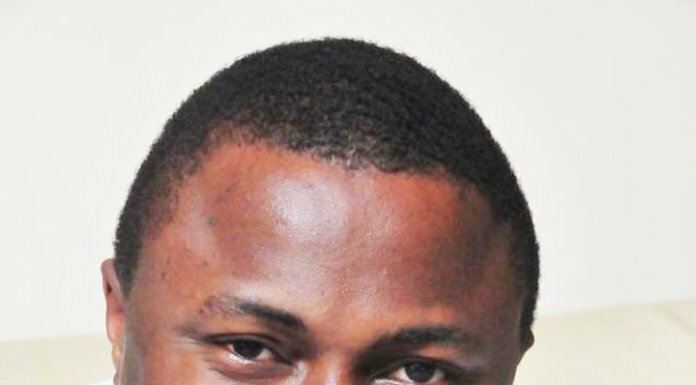 On the morning of April 5, Emmanuel Idibe, a 27-year-old writer in Lagos, switched on his soon-to-be-dead phone and put up a post on Facebook. The post narrated his dejection at not being able to work due to an incessant lack of power supply. Emmanuel’s case is not a peculiar one. Nigeria’s power problems have dragged on for decades, destroying fertile, successful industries and shooing away profitable investors. It is a cancer that continues to grow, despite the billions of dollars that have been devoted to curing it. On March 31, around 1pm, data from the country’s System Operator showed that no power generation company in Nigeria produced a single megawatt of electricity. Recently, there has been a face off between the Nigerian Labour Congress and Mr. Babatunde Fashola, the Minister of Power, Works and Housing, over the increase in electricity tariffs. This has triggered a huge debate on the exact improvements that have been made in the power sector since 2005, when the National Integrated Power Projects (NIPP) was conceived, and since the establishment of the Niger Delta Power Holding Company Limited (NDPHC), a special purpose company owned by the three tiers of government tasked with the responsibility for implementation of the NIPP. The NIPP was initiated in response to the deplorable state of power infrastructure and the inappropriate framework for private sector investment in the Nigerian electricity industry pre-2005. The scope of the NIPP covers the entire value chain in the power sector, namely generation, transmission and distribution, including building from the scratch a national gas infrastructure to power 10 gas-fired power plants across the country. The Niger Delta Power Holding Company (NDPHC) was incorporated in 2005 as the Special Project Vehicle (SPV) for the NIPP. 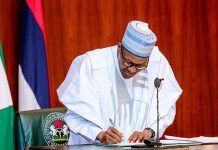 The Nigerian National Petroleum Corporation (NNPC), the Nigeria Gas Company (NGC) and the defunct Power Holding Company of Nigeria (PHCN), among others, were an integral part of the NIPP project development. The NDPHC is domiciled in the Presidency and its budget is drawn by a high-power board whose chairman is the Vice President of the Federal Republic of Nigeria and has, as statutory members of the board, six state governors and four federal ministers. The NIPP has been funded via the Excess Crude Savings Accounts and its capital funding sum till date is $8.46 billion. Disbursement of fund to the NDPHC funds is ratified by the Federal Government and the Houses of Assembly of the 36 states of the Federation. Before 2005 and the advent of the NIPP/NDPHC, Nigeria had a transmission capacity of 4,495 Kilometre (km) on its 330kv lines. The country’s transformer capacity on the 132/33kv band was 5,700MVA and on the 330/132kv Transformer Capacity, Nigeria had 5,300MVA. In terms of distribution projects before the NIPP/NDPHC came on stream, Nigeria, for instance, had 33/11KV sub-stations of 8,148MVA and 33KV and 11/0.41KV substation with 32,000MVA capacity. And before the NIPP/NDPHC, Nigeria could barely generate 2,000MW of electricity. The country neither had any gas-fired power station nor even the gas infrastructure to generate electricity. However, with the formulation of the NIPP and its implementation by the NDPHC over a mere 10-year period, Nigeria’s transmission capacity on its 330Kv lines increased to 6,932Km or 46 %. In the same period, the NDPHC increased the country’s transformer capacity on the 132/33Kv band to 11,118MVA or by 42% and today Nigeria’s transformer capacity on the 330/132Kv band is 11,590MVA, an increment of 93%. The NIPP/NDPHC has also had a huge impact on Nigeria’s distribution infrastructure in the period under review. Today, Nigeria has 33/11KV sub-stations of 11,649MVA, up by 43% and 33KV and 11/0.41KV substation with 84,170MVA capacity, up by a mammoth 163% increment. Under the NIPP and in only 10 years, the NDPHC has built 10 gas-fired power stations, an average of one power station per year, with a combined installed capacity of 4,528.5MW. These are Alaoji, Benin, Calabar, Egbema, Gbarain, Geregu II, Ogorode, Olorunsogo II, Omoku II and Omotosho II power plants. The NIPP/NDPHC have also built for Nigeria gas pipelines, gas metering and regulating stations grouped into 7 lots for the delivery of natural gas to these power plants; Within 10 years, the NDPHC, which is headed by Managing Director, Mr. James Abiodun Olotu, has also expanded the country’s power transmission capacity through 25 lots as follows: 5,590MVA of 330/132Kv transformer capacity; 3,313MVA of 132/33Kv transformer capacity; 2,194km of 330Kv lines; 809km of 132kv lines; 10 new 330Kv substations; 7 new 132Kv substations; and expansion of 36 existing 330Kv and 132KV substations. In the third leg of the power chain – distribution – the NDPHC, under Olotu, has executed 296 distribution projects in 43 lots spread over every state of the Federation, which has given the country 3,540MVA injection substation capacity; 2,600Km of 11Kv lines for HVDS; 25,900 CSP distribution transformers and 1,700km of 33Kv lines. The NIPP/NDPHC has also delivered on the provision and integration of grid-wide telecommunication and Tele-protection infrastructure. Eight of the 10 power plants are fully completed with installed capacity of 3,696 MW and the last two – Egbema and Omoku, 563MW – are on course for completion and commissioning by the fourth quarter of this year. Presently, the NDPHC-built power plants contribute an average of 900MW to the national grid, with about 820MW idle for reasons of evacuation capacity but always available for immediate deployment. Because of the country’s harrowing experience of inefficiency under the government-owned National Electricity Power Authority (NEPA, now defunct), initiators of the NIPP thought it wise to include a divestment plan in the power sector reform framework. 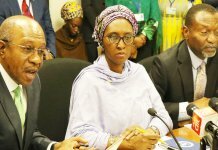 However, rather than pulling out completely and leaving the Nigerian People at the mercy of private sector operations in this critical sector, the three tiers of government have only divested 80% of their equity in one leg of the tripod only – the NIPP Generation Assets – to private investors. To also make room for private sector participation and efficiency in the power distribution sector, the three tiers of government have sold their distribution assets to private distribution companies (DISCOs), with $1.5 billion recoverable from the DISCOs over a period of 10 years. The three tiers of government still have intact their transmission assets (historical cost $2 billion as at December 2015) and gas assets (historical cost $500 million as at December 2015), which equities they would divest to the private sector in the future to make more profits from their initial joint $8.46 billion investment in NIPP Phase I. What these translate to is that under NIPP Phase I, the three tiers of government have invested $8.46 billion to expand Nigeria’s generation, transmission and distribution capacities as well as build a gas infrastructure to power 10 new gas-fired power plants from the scratch, all under 10 years. In the process, the NDPHC has recouped$7.1 billion $8.46 billion investment out of only selling 80% of government shares in generation only. The proceeds from this divestment in the generation assets – $7.1 billion – is to be reinvested in NIPP Phase II. 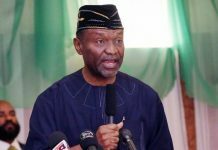 Since the total assets of the NIPP currently stand at $11 billion, it therefore means that the NDPHC has turned in at least $2.5 billion in profit and assets for the country in 10 years. Only the oil sector matches this level of return on investment for government in the period under review. Selling off government’s 80% equity in the NIPP generation assets only has ploughed back $7.1 billion – out of the country’s $8.46 billion investment in NIPP Phase I – into the joint coffers of the federal, state and local government. Rather than squander the $7.1 billion on other government projects in other sectors, the three tiers of government agreed under the power sector reforms programme to reinvest these huge sum in expanding the country’s power infrastructure under NIPP Phase II. The second phase of the NIPP aims to change the country’s power infrastructure in other locations not fully captured under the first phase of the NIPP, especially in the northern region. Already, the NDPHC has received proposals from the State Grid of China, AK-AY and other interested foreign investors for partnership and financing of the NIPP Phase II projects. The clear achievements recorded under the NIPP by the NDPHC were attained in spite of the infamous “Nigerian Factor” which raised its ugly head all the way and continues to assail the process 10 years on. However, the NIPP gains are also testaments to the often maligned “can do” spirit of Nigerians, including those driving the NIPP process, especially at the Presidency, the Senate, state and local governments, the Ministry of Power, the NDPHC and the Bureau for Public Enterprises (BPE). This momentum must be sustained despite the change of personnel at the federal level, many states and in the ministry of power and the BPE. Currently, the NIPP/NDPHC grapple with a number of challenges, which all three tiers of government and other stakeholders should close ranks to solve in order to move the power sector forward for the betterment of the country. These challenges include inadequate gas for full commercial operations; inability to execute long-term General Service Administrations (GSA) and Power Purchase Agreements (PPA); partial payment of energy invoices, leading to the NDPHC alone being owed over N77 billion as at the end of November 2015; litigation in respect of bids for Alaoji, Gbarain and Omoku power plants; and NNPC/NGC plans to divert gas on the western axis and 240mmscf to Omotosho and Geregu. There are also investors’ concern in the sector bordering on credit enhancement for Nigerian Bulk Electricity Trading (NBET); put call option agreement with party acceptable to lenders; 100% divestment of NDPHC equity; misalignment between term of PPA and GSA; possible review of bid to reflect delays in acquisition; impact of regulatory risks and naira devaluation. Others are policy inconsistencies, which has been the bane of the Nigeria Electricity Supply Industry (NESI) for far too long; Generation Companies (GenCos) and the industry in general are concerned about the capacity for transmission and distribution, whereas the investment opportunity presented on the platform of the NDPHC are good options for resolving these infrastructure deficit; and the monthly revenue gap of N20 billion needs to be closed irreversibly as a matter of urgency since efficiency and revenues drive the power industry; increasing acts of vandalism on NIPP/NDPHC facilities, especially bombing of gas pipelines and other power infrastructure in the Niger Delta. Still, despite all these, the NDPHC plans to accomplish a number of projects under the NIPP. These include: the commissioning of Gbarain, Egbema and Omoku power plants; contracting of O and M services for completed power plants; completion of all distribution projects captured under the original scope of the NIPP; completion of prioritised transmission lines and substations, thus improving evacuation capacity and grid stability; closing transaction for the divestment of 80% equity in Omotosho and Geregu generation companies; review and preparation of Project Documents – designs, bankable project documents, etc) for candidate projects under NIPP Phase II. To achieve these and more, stakeholders in the power sector look up to the Ministry of Power leadership of Mr. Babatunde Fashola, for policy guidance and leadership in the sector. They suggest that the Ministry engage all state governments with a view to collaborating on the acquisition of the right of way compensation for the NIPP. They also want the Ministry of Power to create a “one-stop point of contact” for investors in the power sector because many investors are currently feeling frustrated by the complexity of the industry. While some do not agree with plans by the Federal Government to borrow in order to finance the 2016 budget, stakeholders in the power sector, however, are unanimous in asserting that taking loans – domestic or foreign – to build the country’s power infrastructure is the way to go, as the NDPHC has demonstrated that borrowing to build power infrastructure is self-liquidating and profitable for the country in both the long and short terms.